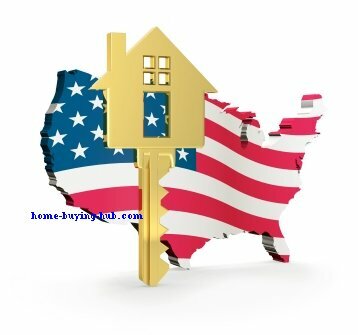 Home grants list: finally here is a state-by-state list of government agencies with free money to help buy your home. They target first-time buyers and professions like firefights, teachers, nurses and law enforcement. It is called Down Payment Assistance, DPA for short. This list covers all states and territories and it contains addresses, phone number and website with further information that can help you to immediately spring to action - in your state. In every state most of counties there will have agencies that will direct you to the grants. There are many sections of a county or city that authorities wish they will do better. You would better believe that public administrator also study marketing and they know that better values for your home also means more tax revenue. So they target some areas to have more “home value” and they may offer incentives to developers built improved properties to a certain special areas – as well as buyer some group of professions that they want to attract to those areas, like: law enforcement, fire fighters, nurses and educators. These areas are known as Tax Allocated District (TADs). Because these grants target a small area within a city or county the are NOT included on this home grants list ...however call whatever number or contact whatever link I listed here and ask them about your specific area - in most cases they will know ...or will have valuable information to send you where you can go - locally - to find some grant[s]! The homeownership programs target low and mid income folks – each of the programs will have its own guide lines… You can be fit in or you can be kicked out according with which kind of audience they want to attract to the program. Most programs try to lure in first time buyers. This group is described as folks who have never owned a home …but it also includes those who have not owned a home in the last three years. Program may include certain professionals like teachers, firefighter, law enforcement and nurses. As long as you have not owned a home for the last three year, use the links and/or phone numbers on this home grants list and do not be shy to check out and see if you be eligible. Remember the grants are distributed local within a given state ...they cannot be sent from one state to another. Besides this comprehensive home grants list, I have written some pages on this website – like “Home Grants,” that explain the process and what your best course of action should be. - There are grants on federal, state and county level - I do not claim that my home grants list has hit them all …hey, it can be just for a neighborhood around the corner from you! Ask around your county housing authority is the first I would point out, real estate professionals, social works, the office of your councilman ...are but just a few that come to my mind! So be creative on your thinking. Best of luck on securing a grant to buy your new home! CAUTION: Legit homeownership agencies – customarily – do NOT collect fees up front …if you have to contribute anything; it will be collected at closing! This is an office that might be helpful. I will be delighted to add my list any link and/or phone number - which I can verify – connecting to homeownership agencies. It will be a valuable piece of info for folks trying to get grants to buy a home on your state and maybe live on your neck of the woods! CAUTION: Legit homeownership agents – customarily – do NOT collect fees up front …if you have to contribute anything; it will be collected at closing!